A field of dandelions, a ridiculously gorgeous family, perfect styling, two guitars, and a whole lot of giggles. Every family photography session is a custom experience. You can choose to have your family photo shoot in the comfort of your home, or outdoors at a location of your choice. We also have our own favorite settings that work beautifully for portrait photography. As a husband-and-wife team, we work together to create a relaxed and enjoyable experience. We like children to feel like they’re on a play date! We have a fun, non-structured approach that allows time for kids to be kids. We love to capture genuine expressions and interactions as works of art that will warm your heart for years to come. We pride ourselves on our attention to detail during your session, as well as in the careful curating of your images. Michael’s unique post-processing style is soft and glowing, and you can view samples in our Family Photography Gallery. 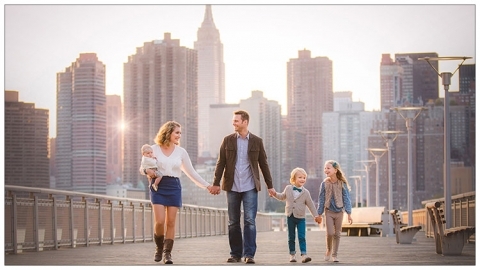 If you feel that our style is a good fit for your family, please don’t hesitate to contact Sophie at our NYC photography studio. We look forward to meeting you soon! Jorge Villalba - Natural outdoor portraits that look as well as studio portraits. Very nice photographic job.